This analysis was based on results of the research conducted under the project “CyberMentors Europe”, financed from Daphne III Programme of the European Union. The project was implemented by the Association ‘Centre for Education and Entrepreneurship Support’ along with eight partners from: United Kingdom, Czech Republic, Italy, Portugal, Romania and Spain. Its main aim was to change attitudes towards violence affecting young people through the use of cyber mentoring in selected European countries. One of the activity’s implemented during the project lifespan was conducting research among children (age 13-18) from Podkarpackie Voivodship with the use of a structured questionnaire. Total number of children respondents amounted 188. The research was conducted between March and April 2013. Among the eight key competences for lifelong learning we find ‘sense of initiative and entrepreneurship’. ‘Competence’ is considered to refer to a combination of skills, knowledge, aptitudes and attitudes, and to include the disposition to learn in addition to know-how. 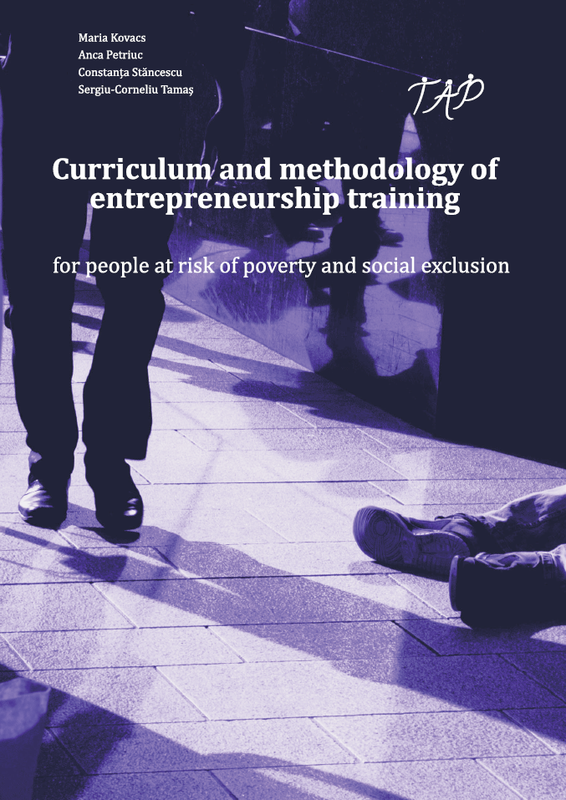 This material contains the training curriculum and suggested methodology for conducting workshops where the learners are people in or at risk of poverty and/ or social exclusion. As we acknowledge that there are a variety of possible entry points to developing entreneurship skills and mindsets, the approach we describe below is merely our choice, based on a thorough analysis of our potential learners’ needs. 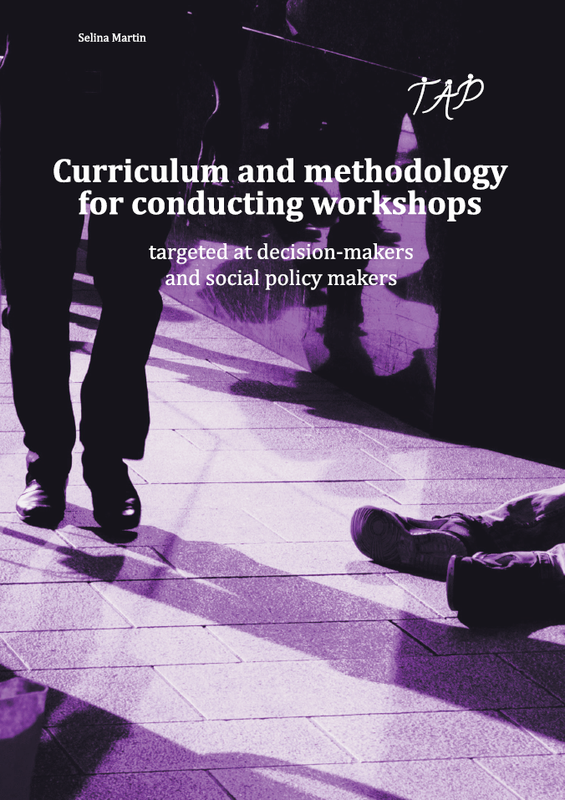 The main aim of the present curriculum and of the workshops is to improve knowledge, facilitate sharing information and if possible prepare recommendations for suggested improvements to each country’s social security model. These workshops will help the participants learn about how social security works in the partner countries. The workshops will focus on cases presented from each country to be discussed and tackled in the partner countries according to their laws, regulations and practices. The book is a type of a scientific monograph, concerning very important contemporary issue that is poverty and social exclusion. Adopting this issue is vital, as it presents to the readers factual analysis of the problem (…). Having great substantial value, the research is a source of theoretical knowledge, but above all it is important for its practical aspect. 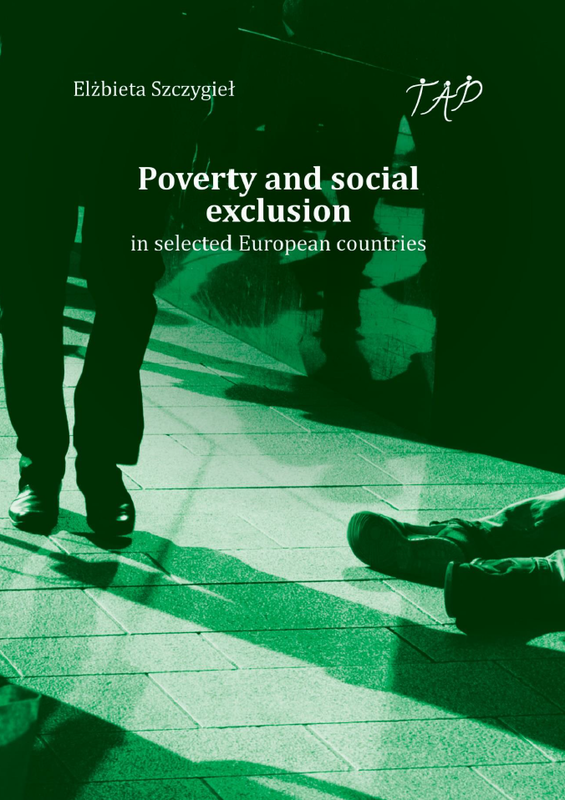 It can serve as a guidebook, but also as a manual for people dealing with the issues of unemployment, poverty and social exclusion. Poverty and social marginalization normally manifest trough immediately material deprivation and difficulties in satisfying primary needs (food, clothes, health, house, work). 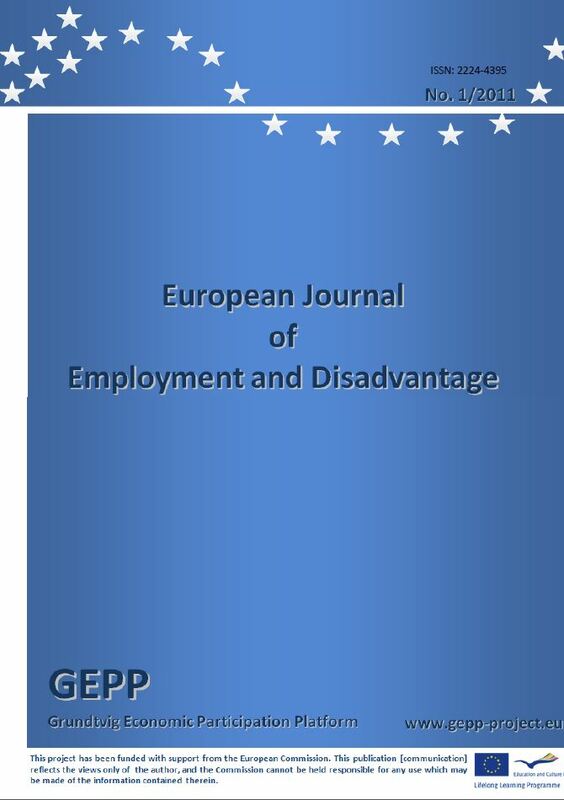 On the other hand, they may have their roots in difficulties of a different kind this meaning that motivational, social, cultural and educational impediments can be relevant importance especially when it comes to disadvantaged people (…). The applied approach led to a background analysis of the extension of the phenomenon and the features of the system of socio-economic protection in each of the six participating countries. It consisted of a thorough study on a group objective of 61 policy makers (especially public welfare managers and tertiary sector managers) to highlight the main strengths and weaknesses of the measures of intervention. Mentoring – support for personal development. Swiss best practices. (…)The value of this publication is raised due to the examples of good practices contained herein. This increases its application value by giving the opportunity to use the experience of others for mentoring in practice. Very interesting is the section on comparison of mentoring and coaching. It is advisable to recommend the publication to students of e.g. management departments (including subjects of human resource management or organizational behaviour). In this aspect, the publication would facilitate understanding of complex master-pupil relationship. This publication draws attention to the very important issue related to mentoring and coaching, with its considerations based on the analysis of these phenomena in the leading Swiss institutions. An important value of the publication is presenting effective solutions for mentoring. The development of entrepreneurship is one of the key issues in contemporary economics. Factors determining the success of a business and the motives for setting up businesses, for years have been the subject of in-depth studies, that are carried out among different socio-economic groups. Entrepreneurship seems to be a recipe for many problems of the modern world, where the economic crisis, unemployment and the risk of poverty force people to take independent economic activities. This study aims at presenting the subject of entrepreneurial activities conducted by women, being at risk of exclusion for various reasons. The study of homelessness among children and young people is one of the most difficult. This is not only due to the problematic measurement of this phenomenon or difficulties in defining the target group. The survey covers a group of minor children, which means that, when asking about these issues, we can be quite confident, that the answers will not be easy to get. Trauma, which very often accompanies children and youth in such situations, stops them from easily expressing themselves in these matters. However, analysing some specific cases and referring them to the conditions, in which the situation took place, you can get a picture of the phenomenon. Nowadays, public opinion and authorities pay more attention to the problems of children and youth. Childhood is seen not only as one of the stages in life, but also the period of time, when a person is shaped. It is the stage, during which people learn social behaviours and gain experience in cooperating with others. The place of a child in society and family as well as its wellbeing is now the subject of particular care and interest. The functioning of a family is now assessed through the prism of unmet needs of its youngest members. Particularly alarming is the situation, where children spend their time on streets, without any care or attention of their parents or carers. The publication is an attempt to describe the situation of children at risk of being left outside the mainstream of social life. Homelessness is one of those social phenomena, the scale and dynamics of which, has not yet been completely recognized. This is determined not only by difficulty to grasp quantitative parameters, but also the structure of a population and changes it undergoes. The data, that supporting institutions have access to, are often incomplete and scattered. 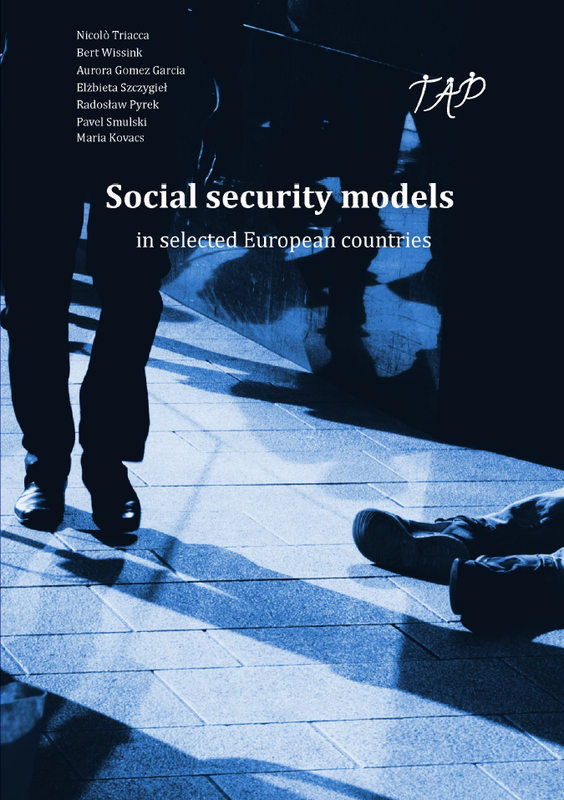 In the literature on the subject you can find entries on particular categories of the homeless, but very rarely do they present the situation of homeless children and teenagers, generally focusing on adults. 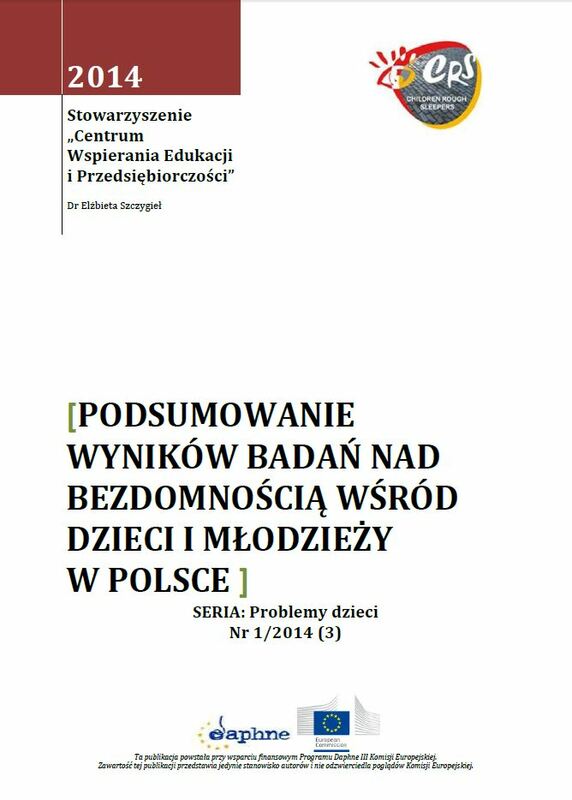 The reviewed entry is therefore a very important element, complementing our knowledge on the extent of this phenomena affecting children and youth in Poland. The topic of greenhouse gas emissions, energy consumption and renewable energy sources has been discussed throughout the whole of Europe in the past decades. The entire topic has many different sides and different points of view, as well as many different approaches. Each country deals with problems connected with greenhouse gas emissions, energy consumption and renewable energy differently, looking for optimal solutions and the most effective way of dealing with problems, risks, dangers and opportunities. 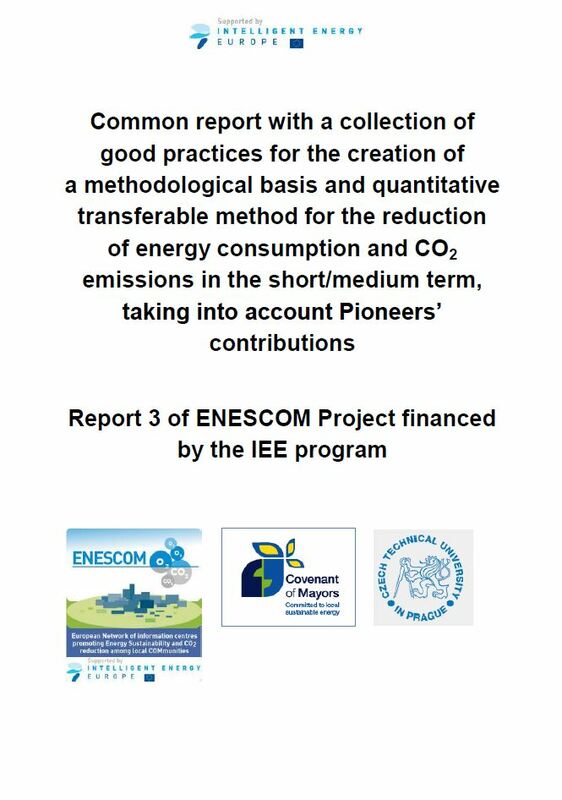 The main aim of this report is to summarize different behaviour and practices from each of the participating partners, so each of the partners can learn from others experiences and knowledge with the aim to improve their own approaches and to find inspiration and possible ways of solving their own problems, utilizing their own opportunities and overcoming obstacles, which may be encountered along the way. The topics of greenhouse gas emissions, energy consumption and renewable energy sources have been discussed throughout the whole of Europe in the past decades. The entire topic has many different sides and different points of view. It is important to bear in mind that although there are many objectives and legislative tools in the EU, each country has to face different obstacles and can use different opportunities. 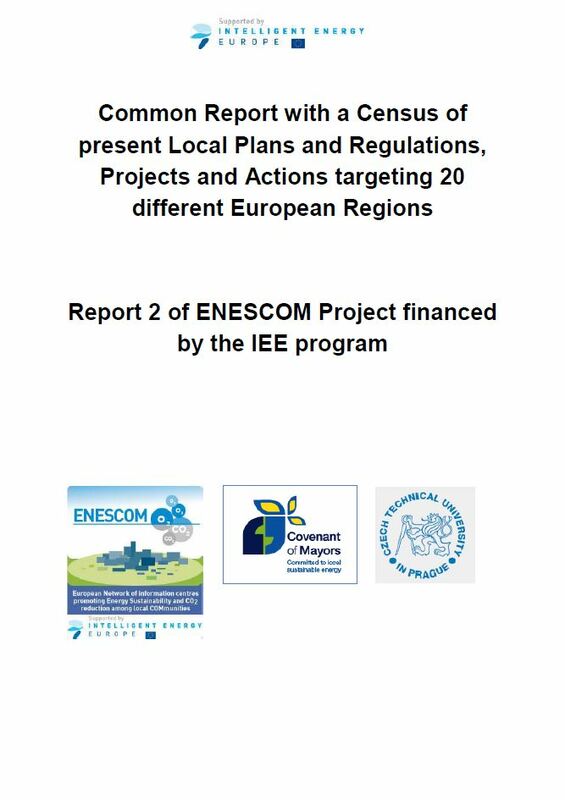 The common report on energy consumption, CO2 emissions targeting 20 different European regions is analytical material which can serve as a basis at the regional level for public administrators, urban planners, policy makers, technicians, entrepreneurs, citizens, transport operators and other regional institutions and as a guide and starting point for municipalities which are intent on entering into the Covenant of Mayors(…). The common report affords many interesting comparisons between regions of different countries as well as significant data assessment from 20 regions NUTS II. Economic situation of persons belonging to different age groups is different in terms of income but also its distribution among particular members of a group. Additionally, vocational situation, which in a bigger manner determines the main source of living impacts the income(…).. Each group was influenced, in a different degree, by the socio-demographic variables, which may show the transformations that are taking place within Polish society in the course of time as well as among the studied collectively differentiated by age. Detailed analysis of variables values in the presented regressive model allows to assess the degree of changes in beneficial or unbeneficial way, which may cause further and deeper research on this matter.